Smartsteel wall frames and roof trusses can be supplied in completely knocked down packs and manufactured onsite. Wall frames and roof trusses are individually packaged and stacked in very compact bundles providing a practical solution for transportation to remote locations. Transportation cost is greatly reduced when purchasing frames in this form as the bundles take very little space and are easy to load and stack. While the manufacturing is still required to be carried out on site it is a very efficient process requiring minimal equipment without the need for any welding. Smartsteel provide the completely knocked down packs fully designed, pre-punched and cut to size for each part to perfectly fit into its position and screw connected. Instruction and construction manuals along with detailed architectural plans are provided for every project. Each part is branded to match the information on the drawings making it easy for you to identify which part goes where making Smartsteel completely knocked down packs easy to manufacture on virtually any building site. 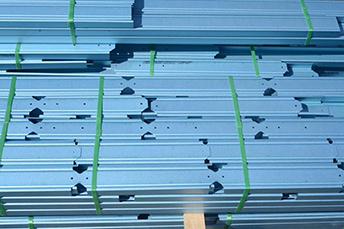 The accuracy and precision of our completely knocked down packs combined with strong guarantees and professional backup support make Smartsteel the clever choice for your steel frame requirements.